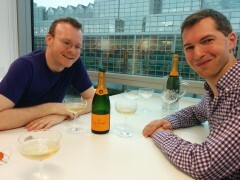 Iain popped in to see us at TGIF, and share not just one but two bits of good news - thus Champagne was called for! 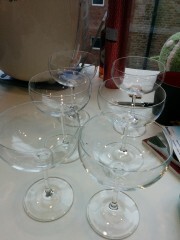 I bought some new coupes for the occasion. 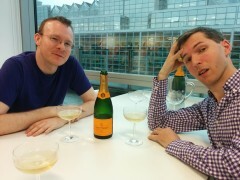 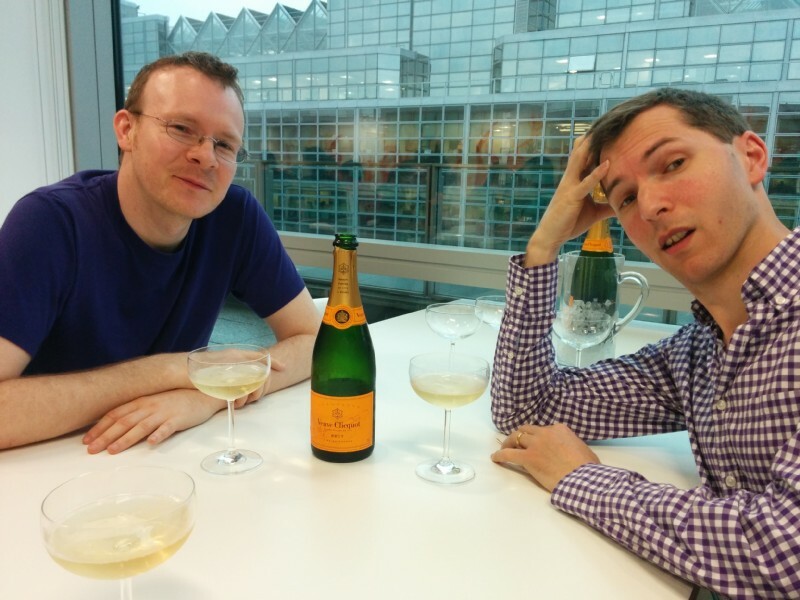 Iain, Kyle, some Veuve Clicquout and the coupes. 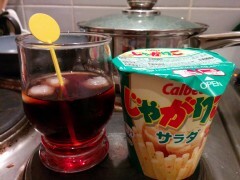 Back at home, after swapping shifts with Chie (she went out for the remainder of the evening).